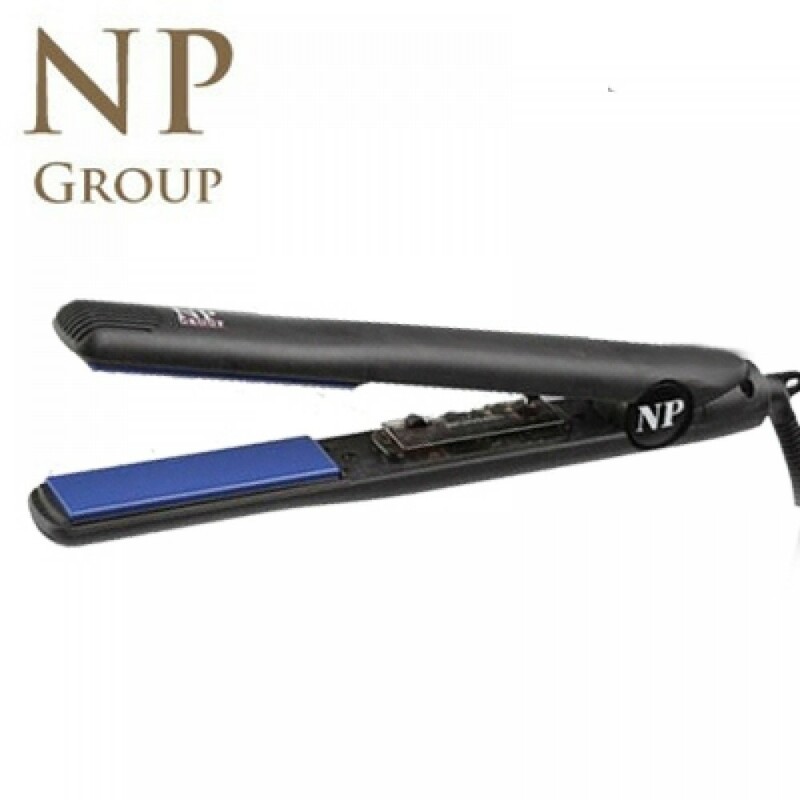 NP Group Fierce Diamond Ceramic Flat Iron features the diamond coated tourmaline ceramic floating plates to increase durability and quality in hair straightening. NP Group Fierce Diamond Ceramic Flat Iron features the diamond coated tourmaline ceramic floating plates to increase durability and quality in hair straightening. NP Fierce is equipped with the most advanced turbo power, ceramic floating plates providing quick heat up to 410°F. One year Warranty. Emitting far infrared rays from ceramic heat plates to revitalizes hair, and protect hair's luster. Had this flat iron for a years and it finally broke on me after stepping on it. The best flat iron I've ever used in my life. I've had this flat iron for about 2 years and I just wanted to write a review to let you girls know this is worth your money. 410 is the highest temperature I would only go to. I don't want to damage my hair. Plus the ceramic plates makes my hair so smooth and shiny, it won't frizz. I definitely give this flat iron 5 stars. This is my go to flat iron!! I use the Np almost every single day. I get compliments for my hair and how smooth it looks after because they all know what my it really looks like if I don't straighten it. it's pretty hot where I am and my hair tends to get frizzy and dry... I didn't know how to prevent it from happening so I thought I would switch up the shampoo I was using. That actually made my hair worse, so instead I invested in a flat iron. Not only did it create the illusion of shinier hair, but it actually felt a lot smoother! I am happy to have discovered how to tame my hair and keep it from looking like I just woke up! Just want to write a review and tell you ladies this is the best flat iron I've used my whole life! I am a hair stylist and I've been using this Atech for all my clients. From straight to curly hair, this flat iron can achieve so many different looks. I recommend this flat iron to all my clients who is looking for the perfect flat iron that can last for years.